Associated Press Abraham Ancer chips onto the second green during the third round of the Dell Technologies Championship on Sunday. NORTON, Mass. 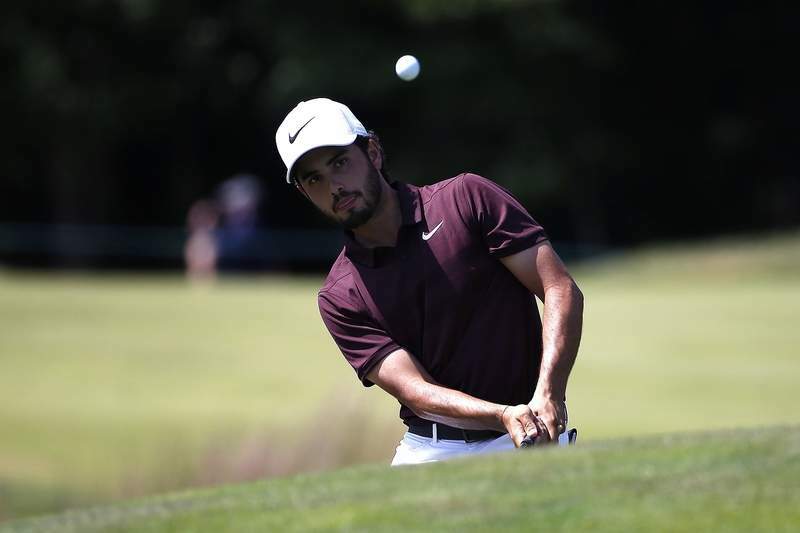 – For Abraham Ancer of Mexico, a Labor Day finish on the TPC Boston will be his biggest test. Ancer opened with three straight birdies, had a birdie chance on all but one hole and shot a 6-under 65 on Sunday to take a one-shot lead going into the final round of the Dell Technologies Championship. Ancer, who has never won on the PGA Tour, showed up at the second FedEx Cup playoff event at No. 92 in the standings, hopeful of getting into the top 70 to keep his season going. A victory would send him to East Lake for the Tour Championship and give him a spot in all four majors. But one look at the leader board is enough to suggest that 18 holes is a long way off. Woods had to settle for a 69 that left him in a tie for 16th, six shots behind. At least he saw plenty of good golf. DeChambeau has become one of his regular practice partners, though they had never been in the same group until Sunday. DeChambeau opened with two birdies and finished even stronger, with birdie putts on the 16th and 17th, and then a 5-iron from 237 yards that stopped 2 feet from the hole for an eagle. DeChambeau has a chance to become the first player since Vijay Singh in 2008 to win the opening two FedEx Cup tournaments. DeChambeau, 24, won the opening Northern Trust in New Jersey last week by four shots over Tony Finau.